Have you finished d yourself in a situation where you were sent a a config file (for http Injector, tweakware, stark VPN, spark VPN, KPN Tunnel rev, eproxy a etc) only for you not to find the file when you try importing it? 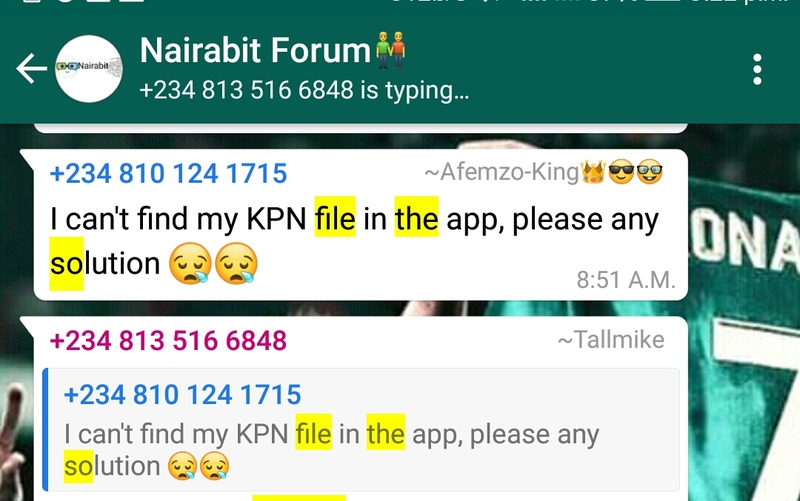 To correct this, the First thing you should do is to go locate the file through your phone default file manage and rename the file to it proper extension(type). Credits to @Tallmike on Nairabit WhatsApp Forum for this tutorial. Whatsapp automatically convert the file to a supported file type that they can send before sending it, so the receiver received a convert file. So to use the file the receiver have to convert it back again to the proper file type. You can easily do that simply by renaming the file. This is where you should see the file. For HTTP injector file, the file type is .ehi (just as the file type or extension for many music player is .mp3), so the file name should end with .ehi, so you have to remove the .enc so that only .ehi will be the last extension. Else the Injector app won't find the file. Next you can now go import the file as the file is now in the supported file extension (type) , it will now be visible in the app when you try importing it. Tweakware uses the twk file extension. To forget about all this whatsapp convertion "wahala" just download the config file with any web browser from www.nairabit.com and no need to go reconvert.